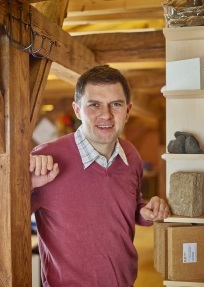 In 2006 our specialised trade for high-value building materials, insulating material and natural paints was established by the actual manager of Baunativ GmbH & Co.KG David Pfennig. Since the beginning competent consulting- and product service and engagement represent the central theme of our company history. We take care of the requests of our customers near and far. The basic concept of our trading company, situated in Saxony, Germany, contains furthermore local availability with a large stock and concurrent trade via the Internet. This allows us to react to spontaneous requests of customers worldwide. Incipiently the assortment was focused on vapour barriers and air seals with the corresponding fasteners of the company “pro clima”. Consequential the products of windproofing completed later our choice of products. Today we have the complete portfolio of pro clima on stock. Of course, we were not quite happy with vapour barriers only! We restocked with insulating material to offer ideal solutions. But in this product segment we only provide high grade material of sustainable production as wood-fibre insulation of Gutex and Steico, hemp fibre from eastern Germany and France (Uckermark and bioformtex), reed of Hiss Reed, Knauf-Heraklith-wood-whool building boards, foam glass panels of Glapor and loose filling of Cemwood. Increasing demands of clients both at home and abroad as well as the rising logistic handling required the restocking of the staff. 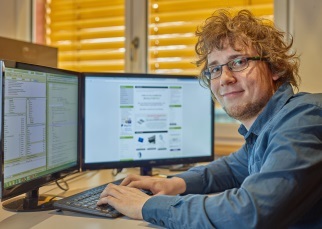 Stefan Pfennig, computer scientist, got into the company to design an attractive Internet presence with a handsome shop. His work in the background is essential to implement new ideas or modification from the producers. And to keep the shop up-to-date! This development for his part promoted the enlargement of our product range with the Sherpa-products. Those very useful connectors of aluminium enable variegated combinations on timber-frame construction. 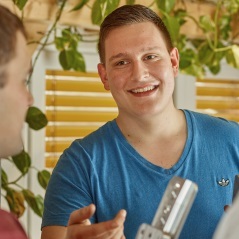 At once with Paul Menzel-Kahn, industrial management assistant, the clay-products from Claytec found one’s way into our medium-sized enterprise. 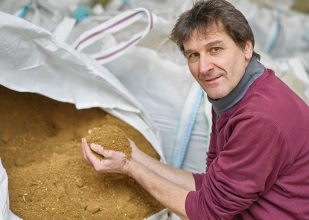 Clay looks back on a long tradition - not only in Africa or in the orient - but also in Germany and Europe and developed over the past years to a modern building material with excellent building biology qualities. Paul assists the customers to find the optimal solution for their project and carries the orders speedy in all directions. So that the shipment can take place prompt. For that we collaborate with several logistic-partners. We are in a position to dispatch parcels or pallets within 1 or 2 days. And if our clients use the rapid payment methods via Internet, we are even able to ship packets on the same day as we received the order. Our forwarding employees care for this flexibility. Not only clay but also lime and its different products are part of our range. Here we distribute lime plasters of Rajasil, Gräfix and the wood burnt marble pit lime from the Bavarian Alps. Additional to this premium materials we also offer several tools and optional-products for treatment. So, you haven’t to wait barehanded on site! For example we recommend you the fantastic “Vogelfluat”. This fluate neutralizes salt effloresces, water- and soot spottings and serves as pretreatment for different surfaces. For the further surface treatment of walls, ceilings, facades, the wood treatment and care we only provide products of manufacturer of natural paint products such as Kreidezeit, Haga, Leinos, Auro and others. You will not find them in our shop yet – please write us an e-mail if you are interested in this products. Beyond that Stephan De Bona, building biologist, will you advise in this complex matter. He is contact person for ecological construction and assists the team in the procurement and ordering system. Would you like to get an offer, have you some questions about our products or your order - please use the contact form or our call-back service.